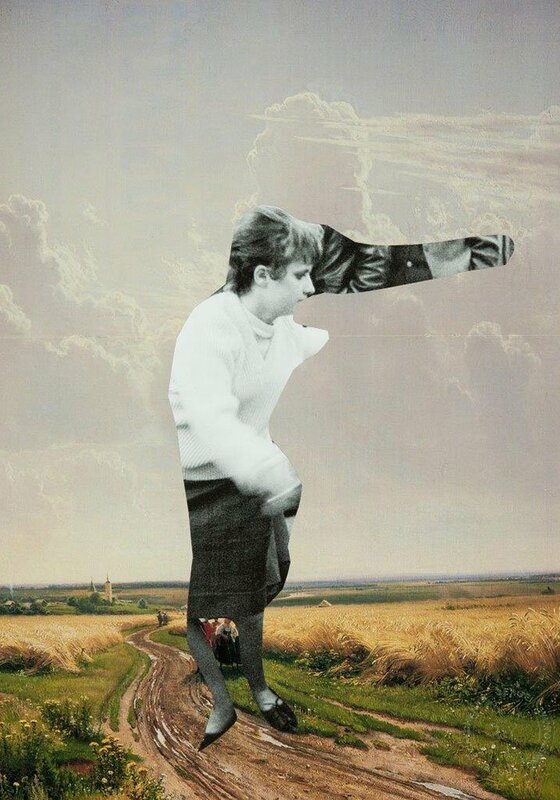 In many of Sergei Sviatchenko’s collages, violently coloured backgrounds make the sense of separation more absolute. This is no longer the surface on which the fragments were glued. It is an artificial realm, a digitally contrived photographic plane that gives even greater finality to the image’s sense of having been plucked from the world and sundered irreversibly from its original moorings. These fragments of something no longer complete are even estranged from themselves. They don’t exist in a pictorial space, which would offer some specificity or guidance, no matter how peculiar the image, because it would provide us with co-ordinates and clues to interpretation. But this zone is nowhere recognisable, or else it is somewhere radically new. 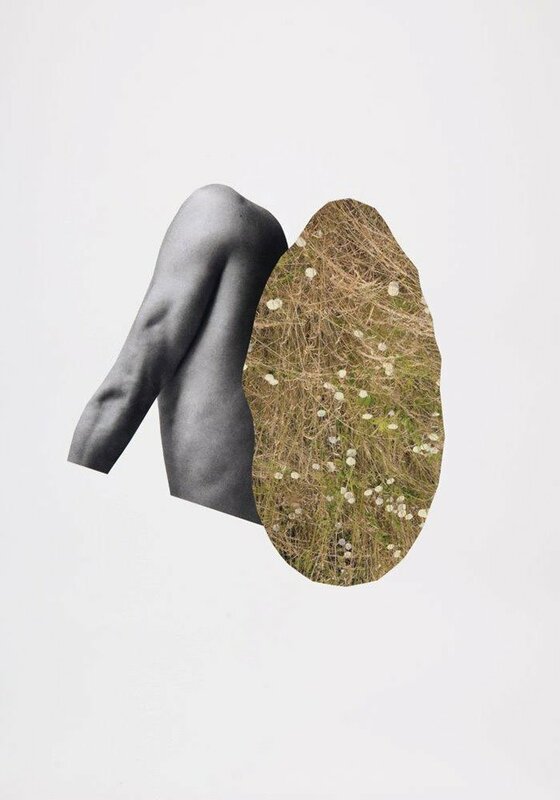 These polymorphous collage worlds, consisting of just two or three elements jammed together in strange intimacy, can come across as almost indecent or obscene. A woman’s thighs jut from an area of foliage above a venetian blind. 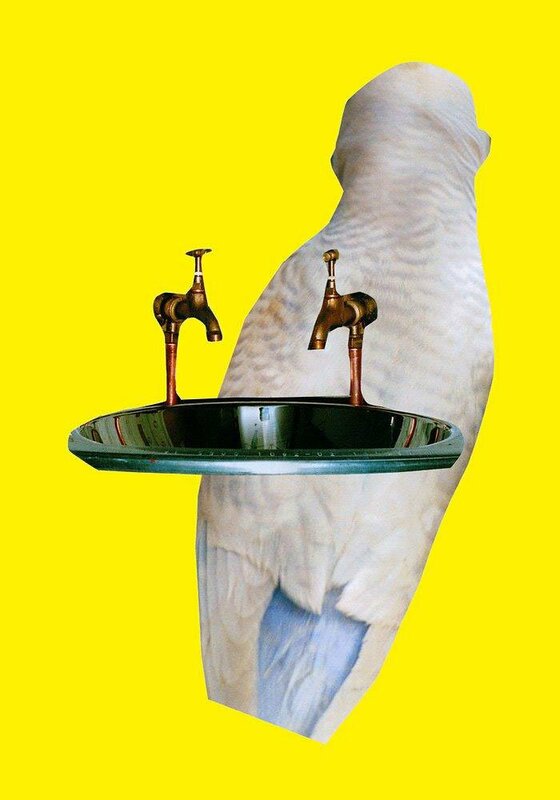 A pair of brass taps and a basin hover in front of the over-sized body of a bird against a background of brilliant yellow. A man’s business suit folds into a private passenger plane; this collage is like an inscrutable 21st century corporate remake of Max Ernst’s The Murdering Airplane (1920) where two bare arms sprout from a flying machine. Sviatchenko’s incisions intensify the mood of dislocation and slippage. 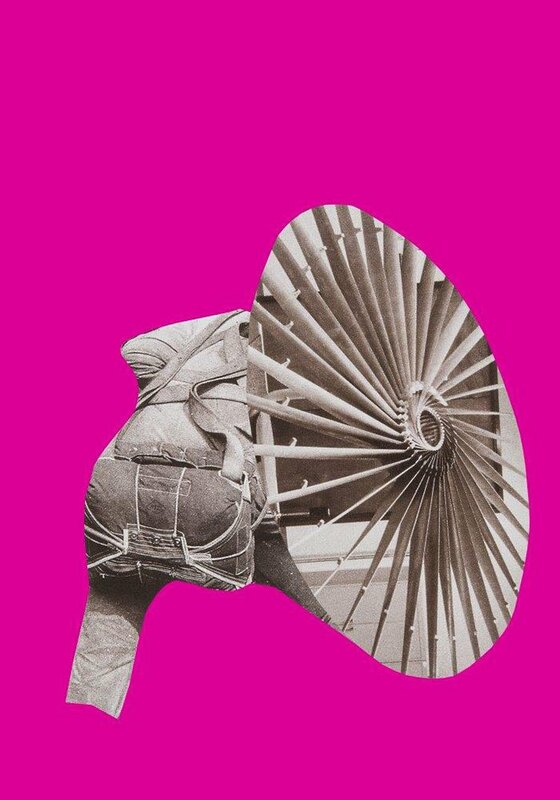 When selecting elements for his collages, he is rarely interested in the whole object, taking only the part that he needs. His recurrent visual themes include architectural fragments (walls, windows, panels); body parts (mouths, teeth, eyes, hands, limbs, fingers); animal bodies (dog, bear, deer, horse, elephant); chairs, furniture, cars and aeroplanes; historical figures (the Beatles, Warhol, Hitler); and passages of texture (fur, hair, foliage). He cuts inside the outlines of these images with great fluidity, disregarding the edge that separates the object from everything outside it, and creating an alternative outline of his own, simplifying, smoothing and abstracting the shape, or introducing angular new boundaries and a roughness of form that didn’t exist before. An upended dog turns into a mass of spikes and the Flatiron building in New York is shaved down to become a wafer of stone, as though the originals have been found to be wrong, inadequate, or superfluous in some crucial respect. Sometimes the initial subject and part of its background become a single amalgamated entity within a new outline. 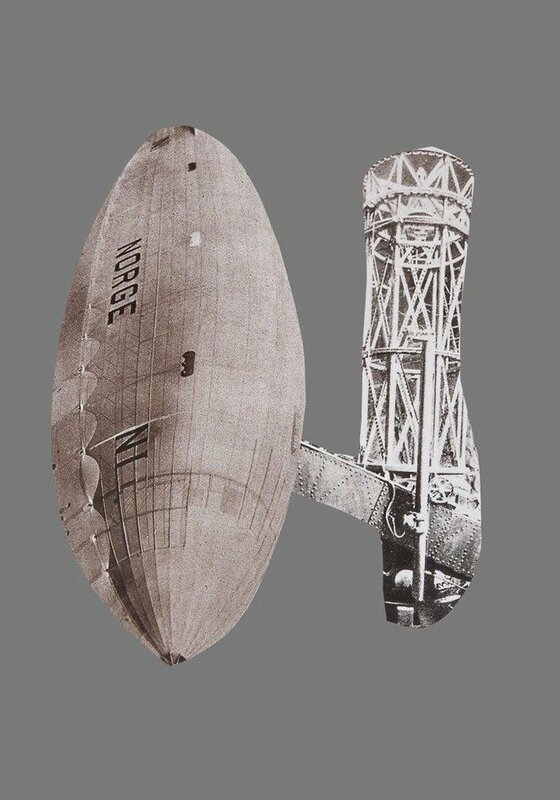 This kind of boundary modification and blurring is not found much in early Surrealist collage — Hannah Höch and Karel Teige are exceptions — where the integrity of the complete figure or object is generally preserved, as it also is in Constructivist photomontage. Sviatchenko re-conjugates the body along with everything else that falls into the path of his implacable scissors. His fragmentary constructions can be difficult or even impossible to identify and they sometimes suggest the possibility of mysterious new uses. Similar found-image components, such as a spaceman in a helmet, can end up after treatment looking like a section of an unfamiliar anatomical organ, or a curious creature like a grub with a human head. The process of amputation and truncation frequently produces mutants and monstrosities — a dark blob with bulging arm muscles; a three-legged woman-horse; an ostrich-like being with someone’s missing limb for a neck — that are uncomfortable to contemplate. What is Sviatchenko doing in these collages? 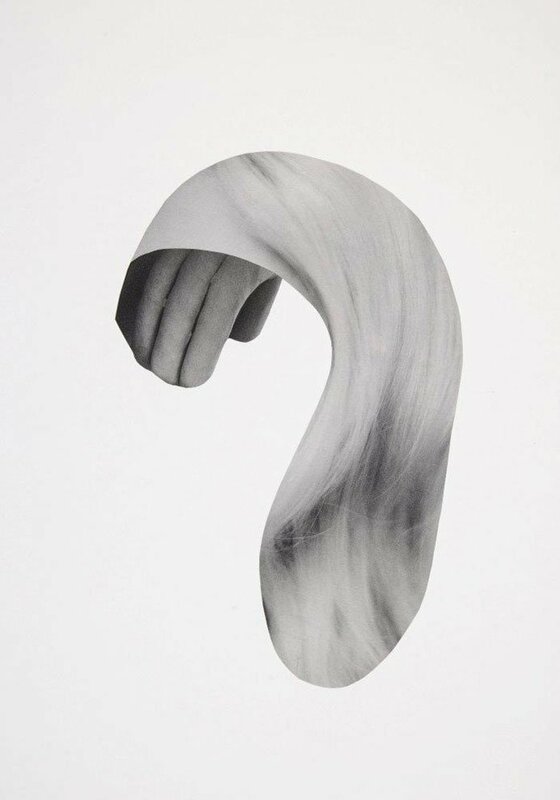 No matter how intriguing or diverting the outcome, the question arises for anyone making collages today. Modernist collage often embodied a radical political desire to remake society along more enlightened lines. 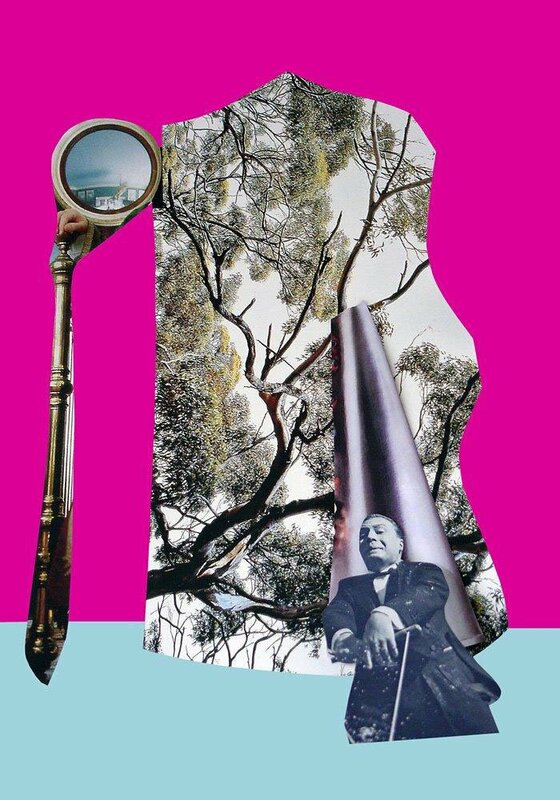 Artists and critics also saw the simultaneity of disparate imagery in collage as an analogy for modern experience. 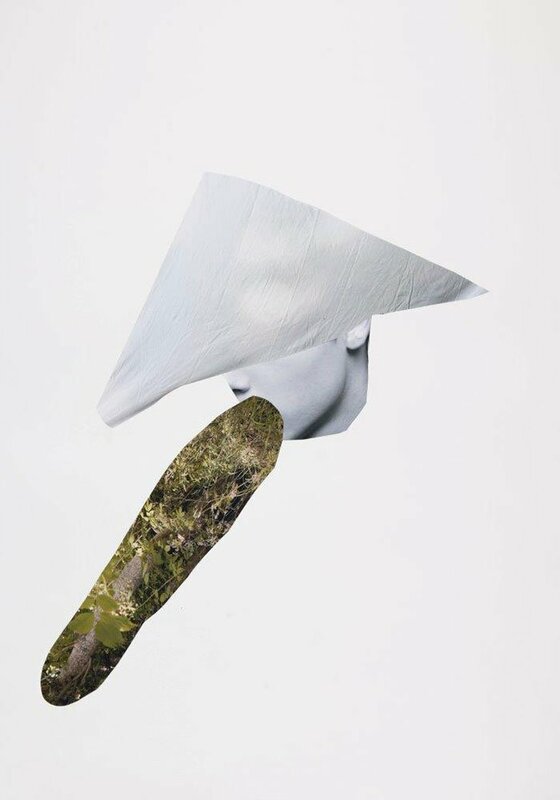 Collage strategies such as appropriation, fragmentation and hybridisation (all seen in Sviatchenko’s work) were ways of representing the onrush of discontinuous impressions and sensations delivered by life in the city, the media, advertising and speed. 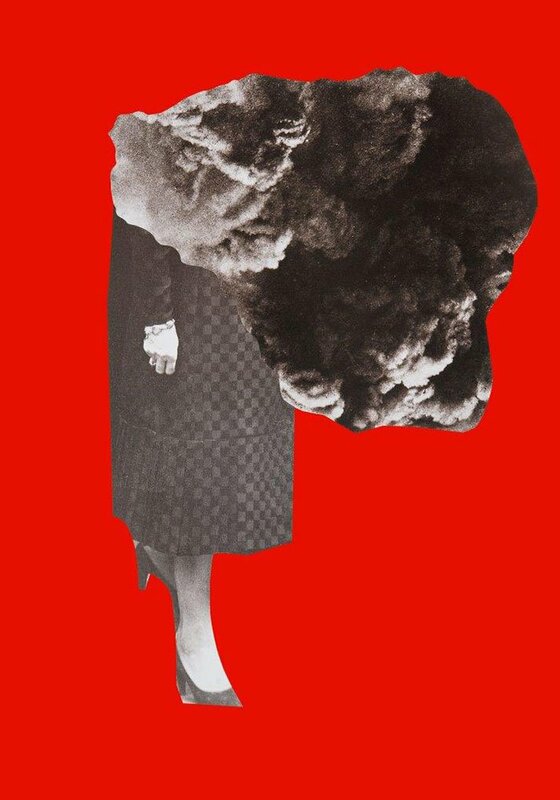 But, as Sally O’Reilly points out in Collage: Assembling Contemporary Art, the “trauma, disruption and desire” that gave birth to radical forms of collage early last century has been worked through and assimilated. Montage has become a fundamental principle of construction applied in all media. 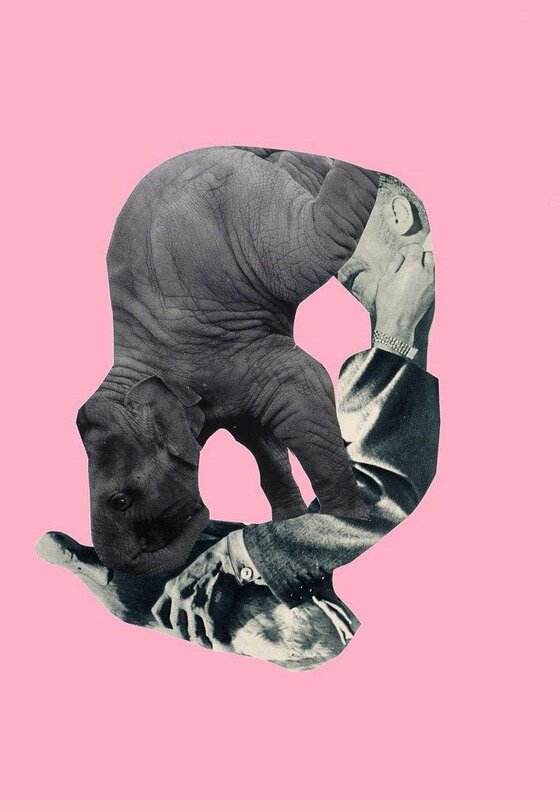 Whether the world has become more like a collage through the processes of technology, or our perception has changed over the decades, the notion that collage “presents new formal possibilities or radical subjectivities is no longer easy to sustain”. 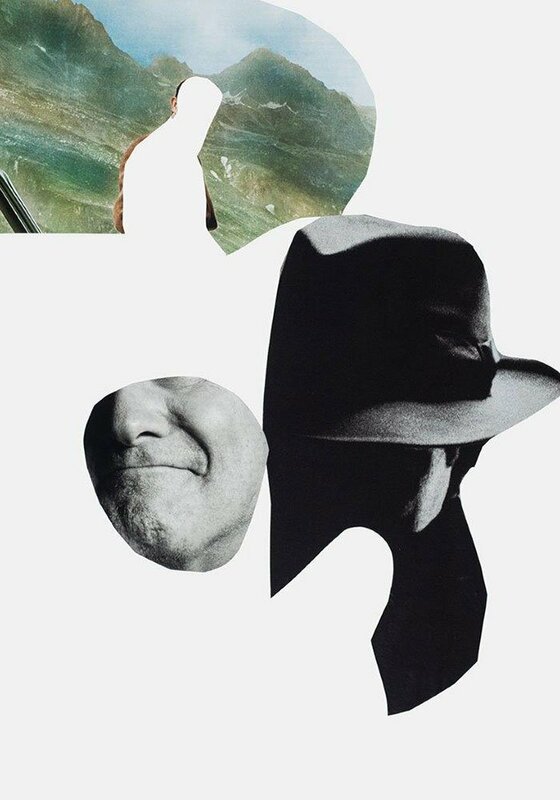 If collage’s appeal is undiminished today, despite its familiarity as a method of image production, then some other motivation or compulsion must be at work. Recent discussion has focused on the inherent nostalgia of collecting and conserving old things and reanimating these treasured bits of paper in collage. But nostalgia, with its sense of weakness and wanting to return to a past that can never be regained, is a misleading word for an emotion that deserves more nuanced consideration. 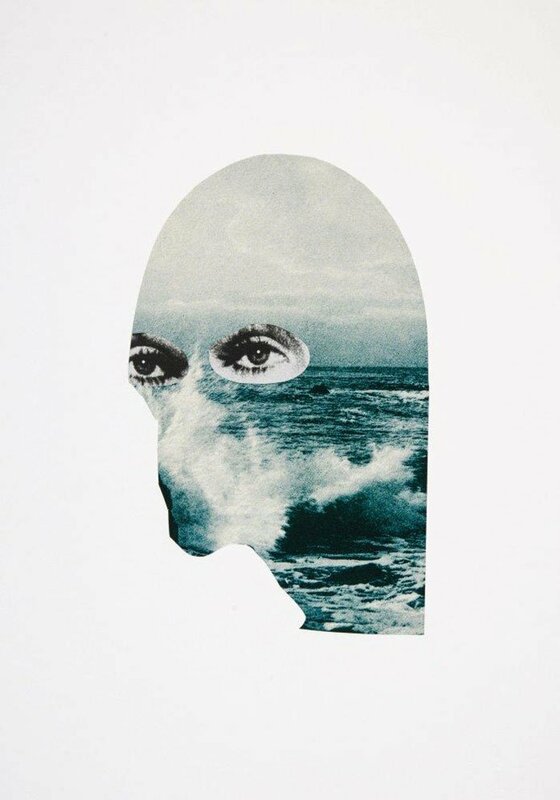 Collage, the artist John Stezaker suggests, may be “a yearning for a lost world” that reflects a universal sense of loss, yet the medium is “not about an imaginary retrieval of the past but about the impossibility of return: a condition of exile”. In other words, collage gives expression to an inescapable predicament, for which it offers a kind of consolation, and one might argue that only by accepting and coming to terms with this loss, which is real, can we live more fully in the present with open eyes. By seizing the moment offered by the political reform of Perestroika and deciding to leave Ukraine, to which he will never move back, Sviatchenko embraced the perspective of a voluntary exile. His success in reinventing himself as a Danish artist and building a new future for his family doesn’t diminish the poignancy of recollection and probably intensifies awareness of what has been left behind. Monochromatic memory traces flicker across many of the collages, but they are particularly evident in pieces that deal with his formative experiences as an artist in Ukraine. 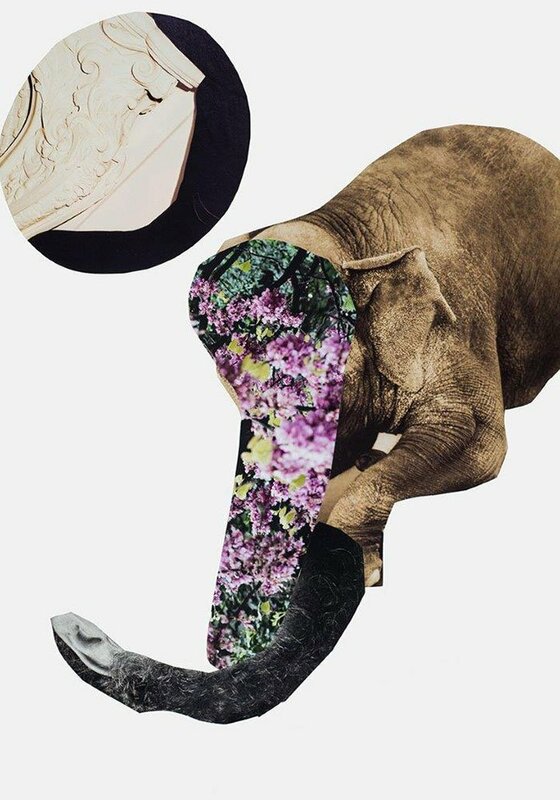 There is a genuine reverence in collage. Sviatchenko speaks of the importance of using his hands and touching the paper, palpating it, before he cuts it and puts it together again – “trying to create a balance known only to me”. 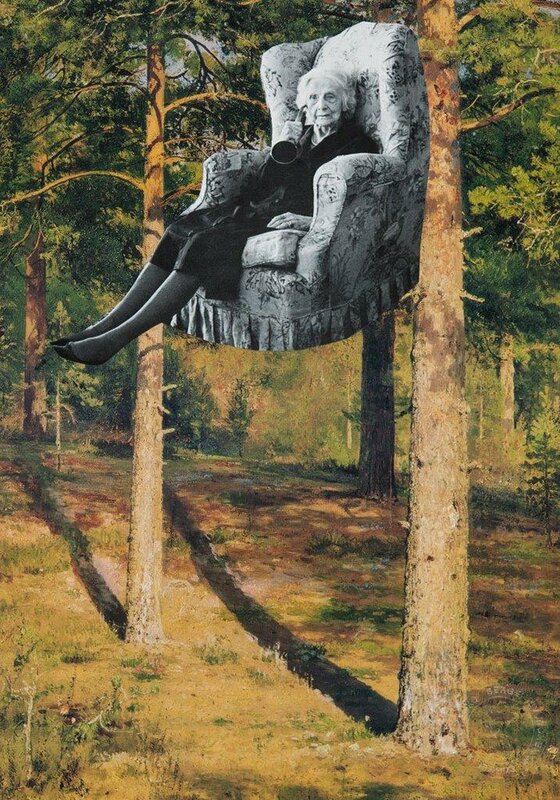 Collage, he says, reflects his way of thinking and living. Layers of events and information connect and reconnect in a kaleidoscopic swirl. There is an excess of images in the world and critics used to worry that this over-production would make all images less meaningful to indifferent spectators. How else, then, can an artist respond to the need to find meaning in the maelstrom of disconnected images, except to do what Sviatchenko is doing? He prospects in the stream and tries to construct a new reality using fragments of the known. This is a personal reality, not a programmatically social one, though viewers can take it as an example and an exhortation not to accept things as they are. Sviatchenko expects us to be calmed by what is familiar in the image and agitated by the need to construct a story, as he calls it, from the unfamiliarity of the new configuration. In earlier pieces, he boiled the process down as far as it could go before ceasing to be a dialectical confrontation between images. 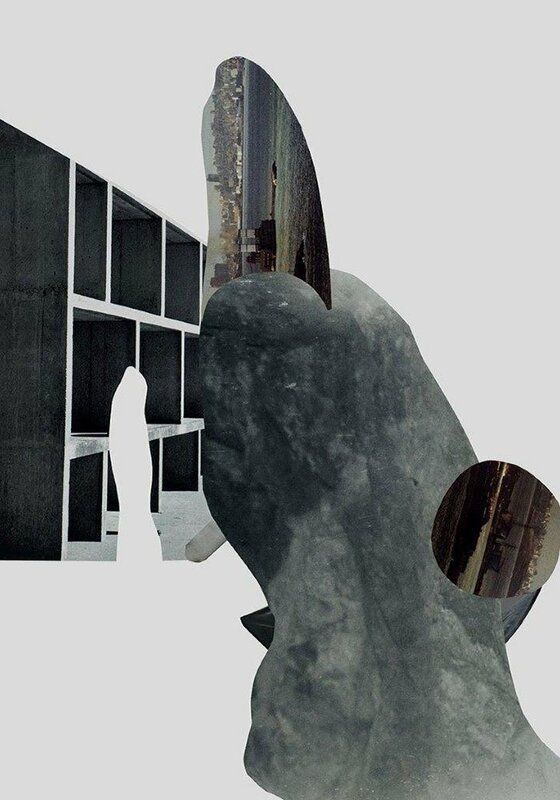 Now he is using more fragments again, though the challenge of locating the collage’s exact point of balance is always the same. 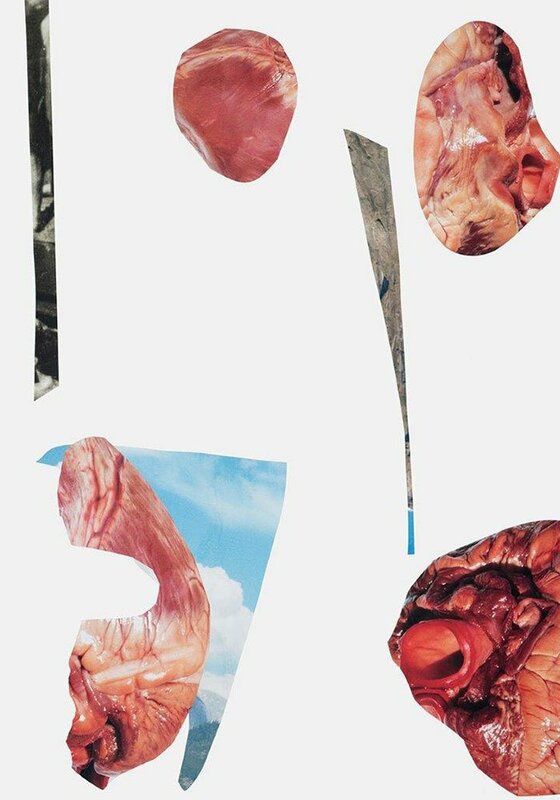 A version of this article first appeared in Sergei Sviatchenko: Collages, available now from The Calvert 22 Bookshop. 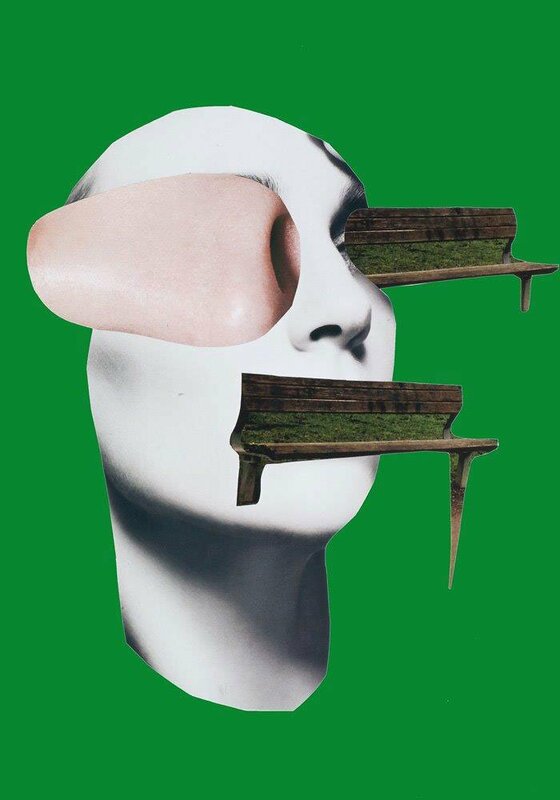 To celebrate the UK launch of Sergei Sviatchenko: Collages, the artist will be in conversation with Rick Poynor at Calvert 22 Foundation on Tuesday 27 September from 7pm-9pm. You can find more information on the event here.